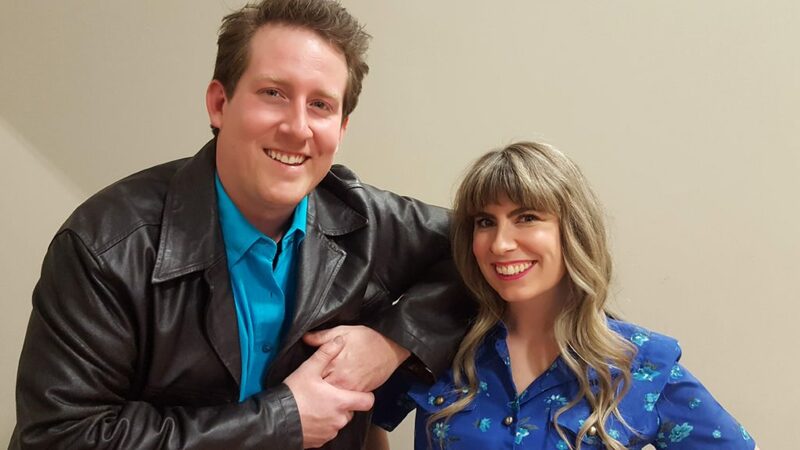 Love and happily-ever-after may be on the line for several couples in The Wedding Singer, Kempenfelt Community Players’ third show of the season. Wannabe rock star Robbie Hart (Aaron Maynard) has been particularly hard hit since his fiancée left him at the altar. 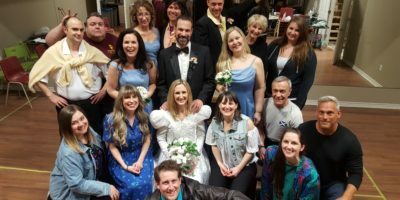 All of that, however, may change as the wedding singer is about to meet Julia (played by Kristine Hutchens), who is a waitress at a wedding where he is performing. The Wedding Singer is based on the hit movie that starred Adam Sandler. KCP’s stage version features a cast of 18 and a new score. She and her husband Chris have teamed up in the past for KCP shows. She started out as a professional jazz singer, he is a pianist and both taught music at Barrie schools prior to retirement – Chris at Innisdale Secondary School and Janet at West Bayfield Elementary. After meeting in a band called The French Connection, they married in 2000. They continue to perform together, mostly at private events such as weddings, luncheons and parties and retirement homes. Chris is also a member of Moonglow. For the Wedding Singer, he will be playing in the band. 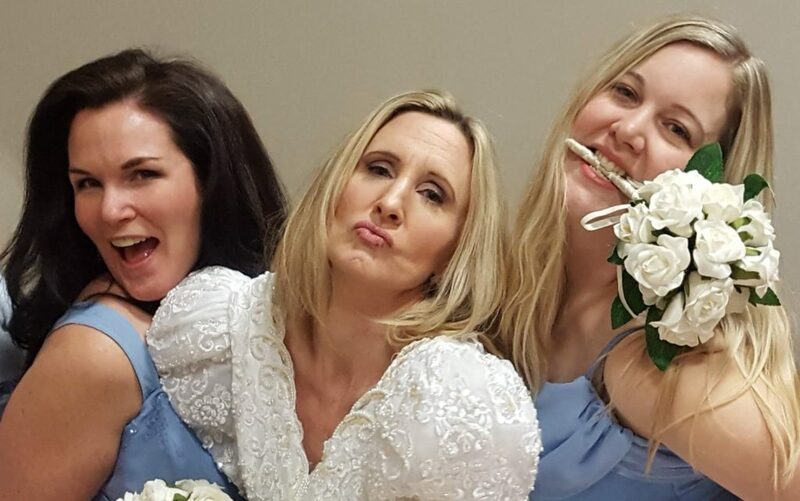 Mariah Johnstone, centre, plays the bride in The Wedding Singer. Mandy Bortolussi, left, and Michelle Greig are part of the ensemble cast. Directing shows at KCP, they often see and former school students. Ness taught Aaron Maynard in her music class at West Bayfield and encouraged him to join KCP. It took 10 years – he’d graduated high school, married and had his first child before it was the timing was right. His first KCP show was the role of the prince in Once Upon a Mattress and for Maynard, it proved to be a lot of fun. 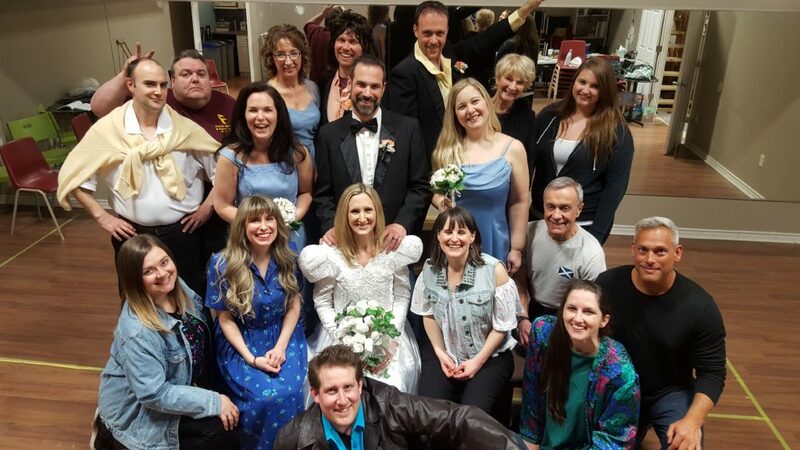 The Wedding Singer unfolds at the Ferndale Banquet Hall, 24 Ferndale Industrial Dr., from May 8-12. Cabaret-style shows and dinner shows are available as well as a Mother’s Day brunch and matinee. For ticket information see www.kempenfeltplayers.com or call 705-721-4255 for reservations.